We have both secure indoor and outdoor storage facilities. Here at Devon Boat Centre we pride ourselves in handling other people's craft. 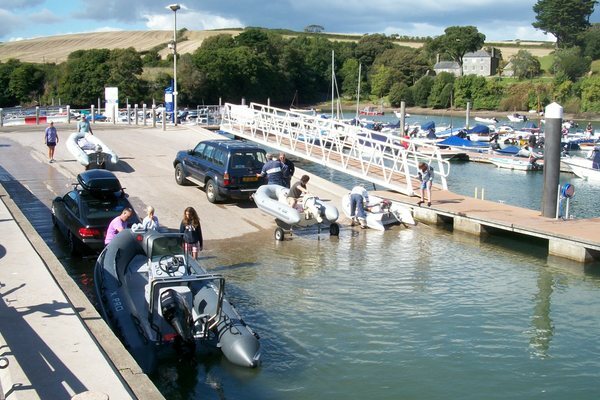 We offer launch/recovery, valeting, servicing, repairs and boat transport. Please email us or call 01548 857444 for prices and information. We have deepwater pontoon moorings which will take any length of boat up to 9 Metres. We also have walk on pontoon moorings which will take any length of boat up to 5.5 Metres. Please email or call us with your requirements.